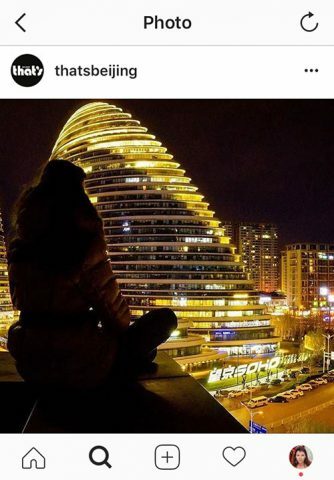 Have you noticed, that even if you post a stunning picture on Instagram from the trip or even an amazing travel, it gets just some engagement? It took you so much time and effort to take that beautiful shot, and almost nobody sees it. After you post a photo, only your followers see it on the feed. No matter how good your picture is, it’s not enough for being discovered by others. There are a lot more people who can see it besides of your friends. There are many options to grow your Instagram account. One of the great ways to be found is to use the Instagram travel hashtags. If you are not familiar with the social media, on Instagram hashtags are the keywords, relative to the picture, which use the pound sign (#) in front. Every word with the # sign in your photo description becomes a link. If you click on it, you see other posts with the same hashtag on all Instagram accounts. For example, check the hashtag #travelphotography. This way you may notice people with the similar interests, and that’s how they find you too. There are always discussions how the hashtags affect the engagement with the photos. On Instagram, you may use maximum 30 hashtags per post. Compare to other social media networks, where it’s better to use 1-3 hashtags, on Instagram, your pictures will get more interactions (likes, comments) with many hashtags. Below are the tips on how to strategically use the Instagram travel hashtags. The hashtags usually come after a photo description. Simply answer the question: What is in the photo? There is always something new to discover. Be open to the opportunities, which show up on the horizon. 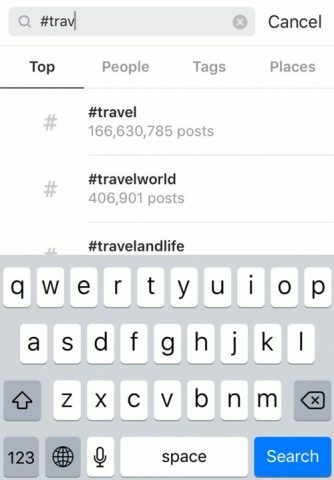 When you type your hashtag, Instagram automatically does a search for other tags, which have the same beginning of the word you type and will show you how many posts use the same hashtag. Scroll the list to see what else people write and add some to your post. The point is, if you choose something too popular, like #instagram, it won’t give you a big effect. More than 131 million posts use this hashtag. Your photo will get lost. 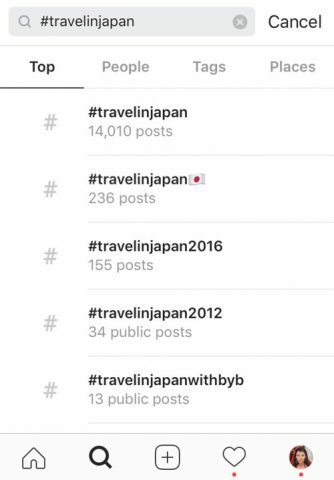 If you choose the too specific word like #travelinjapan, which has only 14k+ similar posts, people won’t find you. It’s not what they type and the search. Find your sweet spot – the famous words with a number of posts about 500 000. 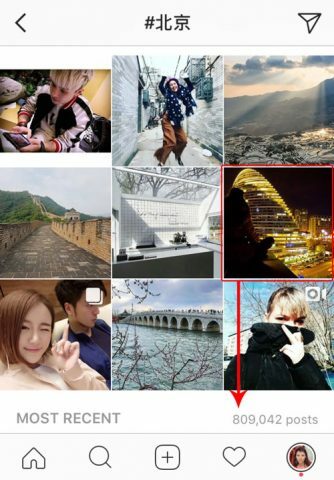 For your travel pictures, a lot of Instagram travel hashtags will be similar. In this case, it is worth to create the sets of well-researched hashtags which you can just copy/paste to your description. Use Notes or Evernote app to keep your hashtag sets together. Having it on the computer, phone or iPad, let you synchronize your notes as well as manage them on all devices. Or you may use any other note apps for the cell phone. Look for the popular words related to the photos you usually publish. The problem with those words is that they are way too popular. There are a few million pictures with them online already. The search result with the popular hashtags runs very fast, and your photo goes down, so nobody sees it anymore. On Instagram most engagements you get within first 2-3 hours after you post the image, but for very popular hashtags it’s just a few minutes or even seconds in the search result. For finding more related words, search one of your hashtags on Instagram and at the search result, it will show you similar hashtags. Feel free to use them. However, these are only some travel hashtags. Do your own research, choose qualified to your pictures hashtags and add them to the current lists or make your new sets. Now when you add a new image to the Instagram, use the set of hashtags, which you need and paste them to the capture or the first comment of the post. If you know the local language, then you can write the area in that language too, for example, #北京. If you post purposefully, then you have the chance to get featured in the Instagram search results. When you use the name of the city or area, these pictures get more interactions with local people. If you are in the famous place, restaurant, or coffee shop, which has an Instagram account or hashtag, tag it. People may discover you by their hashtag. When you travel, you also can find people around you by searching the location hashtags. Look what they post and what hashtags use. Here is a trick: use the popular hashtags, which are very close to the picture description. The content with these hashtags is updating super fast. However, it’s your chance to get viewed by plenty of people. The difference is if you post a beautiful photo of the sunset at the beach and tag it as #instagram it may get some likes, but it’s a general keyword. If you tag it as #travel – this hashtags searched by the people who are interesting in traveling, it will get better respond. I wouldn’t recommend using too many popular hashtags, 1-2 will be enough. First, with the top hashtag, you get out of the mainstream of searching hashtags very fast, while the less popular word will keep you in front of the people search more. Second, better use the quality tags about your images to attract the right audience of people interesting in your art. The best you can do is to mix up the relevant popular and more unique hashtags. Use them if you are just starting with Instagram and have just a few hundred followers. Here is the list of 30 Instagram travel hashtags of the accounts who reshare the travel pictures. Besides of using the branded hashtags, you may tag those thematic accounts right on the picture. Then they will also get the notification about tagging. There are many holidays during the year. If your picture is related to them – mention it in the hashtags: #Christmas, #Valentines, #WorldNutellaDay, #ChineseNewYear, etc. Use the themed hashtags for getting more engagements. Some of them are #motivationalmonday, #tbt or #throwbackthursday, #followfriday. #motivationalmonday shares some inspiration photos, quotes, ideas, advice, etc. #tbt or/and #throwbackthursday usually used at Thursdays and refer to the picture taken in the past. Add them when you share the picture, which was taken a year or years ago. #ThrowbackThursday: Found the picture from on of my travels in China. So still in the cave. At #FollowFriday people usually use the photos of other users and encourage to follow them. Partner with similar travel accounts, share each other pictures, tag people and add #followfriday hashtag. Adding only a few hashtags gives a clearer look to your posts, but adding more hashtags give you more likes especially when you don’t have thousands of followers yet. Test these tips to find your better strategy of using hashtags to grow up the interaction and followers. If you have any questions on using Instagram travel hashtags or Instagram in general, leave me a comment below, and I’ll do my best to answer them. This is such an awesome guide Marina, I wish I’d seen this last year while I was traveling! I wasn’t using hashtags at the time, but I’ve already curated sets of hashtags for when I travel this year! Really useful post! I love the tip about saving clusters of related hashtags. That will be so helpful when I can’t come up with anything! I’ve found that time of day is also super important when posting to IG. Do you have any recommendations for which times might be better to post to more popular/less used hashtags? I’m thinking the less busy times, like midday and during the week, might be better for getting your post seen by more people in the #travel hashtag, for instance. Would you recommend a different strategy (i.e. more or less hashtags) depending on how many followers you already have? I’m curious if people with more followers can get away with using more niche hashtags because they already guarantee a lot of people will see it. For the top hashtags, I would use the less busy time so that they won’t go out of the search results very fast. For the less popular hashtags, just use at the best time for posting your picture. I usually have the sets of hashtags with the few top hashtags, many with 200 000 – 1 000 000post, and some less popular with 80 000 – 200 000 posts. The hashtag is your free tools to get in front of more people. I will still use the hashtags if you get more followers. In that case, I would have more hashtags with the number of posts 1 000 000 – 8 000 000. The reason for that is that if you have more followers and they engage with your content fast after you post the image, then you have a chance to get to the top featured area of the search result. And more people will see your post. Really great information! I had not heard the list of # that might repost? Or, the tip on keeping the number around 500K. Thanks for the relevant info! I didn’t really understand your questions. Could you please ask with the more detalis? Thanks for this, I am always looking for ways to organically grow my instagram, and I find the platform fun to use- i tend to always go for the same hashtags, so always keen to read about what others are doing. This is a great guide! I’m starting to travel more, so this is areally helpful! Great article with some amazing imagery, that picture from China is stunning! I often think people go OTT with hashtags probably because they don’t know what the purpose of them is.